Welcome in to this week's blog post everyone! This week's blog dropped a little early considering I am heading to Martinsville early tomorrow morning (Monday). Wanted to get you guys some interesting opinions & takes this week! Considering the race hasn't happened yet (writing this Sunday), I want to use this blog to write about something I have pondered for weeks now. If I were able to design the Cup schedule, what would it look like? Well you're about to find out! Here is my “dream but realistic” mock-Cup Series schedule. I will list which week number (1, 2, 3, etc...), which track, and which date the race would run on. I will use the race dates as if this schedule was in 2018. First, I will list the schedule. Second, list notable changes. Finally, I will discuss on what I believe to be the 3 biggest changes to the schedule. This idea was originally inspired by NBC Sports writer Dustin Long (@dustinlong). Long laid out the idea of having a mid-week summer series during the Cup series regular season. I want to give him the proper credit. Without Long I don't know if I ever consider this concept. I can't find the original article where he talked about this idea, but here is what I propose. The goal is to think outside the box from traditional NASCAR methods. For years fans have questioned what mid-week events would look like. Well, this mock-schedule would help us find out. I propose that we have a 5-week stretch of Wednesday night races, all on short-tracks. The largest track in this stretch would be Iowa at 0.875 miles in length. Oh... you noticed I added Iowa? Don't worry, it won't be the only new track added to this short-track series. Three of the five tracks we would visit would be new to the Cup schedule. Those three facilities include Iowa, Lucas Oil Raceway (Indianapolis Raceway Park), and Eldora. Yes, you read that right. I am proposing the idea of throwing the Cup Series on dirt. I'll admit, I use to be against the idea, but fans would love this move. In addition to ratings, this takes NASCAR back to it's racing roots. The stretch would look as follows: Martinsville, Richmond, Iowa, Lucas Oil, & finally Eldora. These five weeks are all about bumping & banging, while taking us all on a trip through history. Of course, this could back fire. The biggest concern is fans traveling to races mid-week. While this does concern me, we have to eventually find out if this concept can work. Bottom line is... if it's exciting, fans will come regardless. Looking at the mock-schedule, you will notice I have 4 road courses listed. From what I see on social media, fans want 2 things... short-tracks & road courses. Who doesn't love a little bumping & banging while also turning right? The idea of adding more road courses really excites me. Regardless of your thoughts, road course racing is some of the purest racing you will see in NASCAR. So enough flapping my gums, let's dissect it. First, you notice Sonoma is moved up to the West Coast Swing. Traditionally, Sonoma helps kick-off the summer stretch in late June, but fans could use a boosted level of excitement to start the season. Let's face it, the current West Coast Swing (Las Vegas, Phoenix, Auto Club), just isn't cutting it. The Cup series needs something refreshing in mid-to-late March. Sonoma would be perfect to get away from the typical cookie-cutter start to the year. This gives teams a unique chance to pull an upset and land in the Playoffs early. Second, you should notice there are two new road-courses added to the schedule. The first is Circuit Gilles Villeneuve. Gilles Villeneuve hosted the NASCAR Xfinity Series from 2007-2012, and became one of the most entertaining races of the year. From Robby Gordon getting black-flagged & refusing to pit, to Boris Said snagging a win as Carl Edwards made a mistake on the final corner, Gilles Villeneuve earned it's stake in NASCAR. With that said, I am bringing it back & in a big way! Hosting the second road-course event of the year for the Cup Series, I have the 'big-boys' running 115 laps for 311.65 miles around the 2-plus mile track. In addition to going to Canada, I also have the Cup cars heading to Mid-Ohio in early September. As it sets, I have this race being the second to last race in the regular season. This gives teams like AJ Allmendinger & Michael McDowell one last chance to show their road-racing talent and land a spot in the Cup Playoffs. Originally, I thought about putting Road American here, but after considering the tracks, Mid-Ohio seems to offer closer/tighter racing. Both these additions take Cup to new markets & could open up the doors to the next generation of fans. Lastly, Watkins Glen has been moved to the Playoffs. Of course, I am excited about the Charlotte Roval, in fact I plan to attend the race, but let's get real... we need a legitimate road-course in the Playoffs. The Roval was thoughtful, but it was a cheap way for NASCAR to get away with a road-course race while sticking to their track contracts. Watkins Glen has been a staple on the Cup schedule, and with this move it becomes even more important. This speedy monster would be the perfect excitement booster for the Playoff schedule. If you look carefully there are some major changes I have proposed above, including some you may want to smack me for. Before you completely freak, hear me out. The old saying is “when one door closes, another opens”, and I believe this to be true for NASCAR. My mock-schedule has Indianapolis Motor Speedway being knocked-off the schedule, in addition to Bristol, Michigan, Pocono, Texas, and Las Vegas going down to 1 race date. The two biggest sore-thumbs sticking out are Indy & Bristol. The fact of the matter is, both places aren't selling. Ticket sales aren't everything, but as NASCAR continues to plummet, they are become more-and-more important. First, let's look at Indy. The dream of stock cars running the famed Brickyard were once bright. The 90's made for some great racing & the crowd size didn't disappoint. Of course, that was over 15-years ago. Since then, NASCAR has faced some not-so-nice issues in Indy. Let's not forget the tire fiasco in 2008, where NASCAR officials had to wave the caution flag roughly every 10-laps to keep the field from getting destroyed. In the 10-years since, NASCAR hasn't come close to attracting a full-crowd to the 2.5-mile speedway. The last few years have become out right disgusting when looking at the grandstands. Let's face it, it's time to let go of our Indy dreams and move forward. Don't worry, we won't lose the Indianapolis market, as I propose the Series moving Lucas Oil Raceway during the short-track summer series mentioned above. Next, let's look at Bristol. It's a tradition on the NASCAR schedule, but it has lost it's steam the last 10-years. Since the short-track decided to grind the 0.5 miler, racing just hasn't been the same, and fan attendance has backed that up. Bristol used to be an automatic sellout, but that's no more. One way I say we fix this, is to take away the spring date & move Bristol's lone race to the NASCAR Playoffs. This gives fans further reason to attend the “Last Great Coliseum” on two fronts. One, they only have one date... there is no waiting for August. Second, it's in the Playoffs. To add emphasis to Bristol again, let's make it one of the most important races of the year. Trust me, I never thought I would propose this either, but honestly... it makes sense. It would also become the only night race in the Playoffs, and that doesn't hurt attendance either! So where do we make up for all the heartbreak? That's easy, I have 6-tracks slated to make their debuts on the Cup schedule. We have already deeply discussed a few of the new tracks I want to add, but let me hit on the others. First, Iowa. Iowa has been “on-deck” to become a Cup facility for years. Just like Kentucky, I do believe Iowa will land on the Cup schedule soon, but why wait? I want to give Iowa it's due, and put it smack dab in the middle of the summer short-track series. Second, Lucas Oil Raceway. Formally known as O'Reilly Raceway Park or ORP, this little short-track use to be a must-see on the Camping World Truck & Xfinity schedules. I'm tired of letting great short-tracks like this fade away, so I propose we move the Cup series to the 0.686-mile oval in mid-August. In addition to great racing, we also get to the keep the Indianapolis market we would be losing by cutting the Brickyard. Lastly, this schedule adds Evergreen Speedway in Monroe, Washington. This track would provide so many things to the Cup series & NASCAR as a whole. For one, it adds yet another short-track to the schedule. The K&N Pro West Series currently runs there, but none of the major divisions have. NASCAR needs to invest in the track to not only provide another short-track facility, but gain a market it has never been able to grab, the Pacific North-West. Just an hour outside of Seattle, this move would open the flood gates to a new crop of fans that don't get to see the top divisions live. Seattle is a great sports market, so attendance wouldn't be an issue. If NASCAR could efficiently make this move, there is nothing to lose and the world to gain. The only concern would be track size in terms of fitting haulers, a garage, and pit-road. My solution would be to run this race similar to how the Trucks run Eldora. During stage breaks teams can make adjustments. Running position is locked in, so no one gains or loses during the pitting process. Of course, if we wanted to make this full-proof, NASCAR could just invest and build a pit-road. Well there you have it! These are my proposed changes to the NASCAR Monster Energy Cup Series schedule! Some shocking, some obvious, either way thanks for reading! Hope you enjoyed, and make sure you give me your thoughts on the proposed changes! 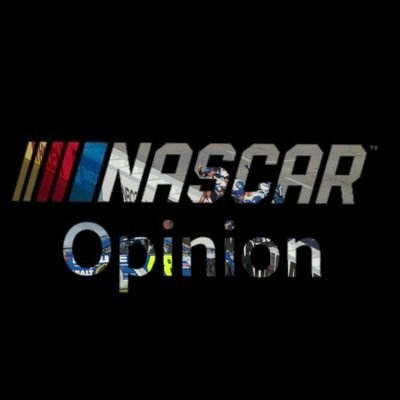 Make sure you follow along on Twitter at @nascar_opinion!